Pest control jobs are a dime a dozen, but finding a company that truly values you and wants to grow with you can be a challenge. At Triangle Pest Control, we know that our business would be nothing without the hard work and dedication of our team members. Our technicians and office staff dedicate themselves to providing the best experience possible for our customers, which is why we strive to do the same for them. Part of the way we do this is through the awesome benefits we provide for our employees. Read on to learn more about how we invest in our team members! It’s easy enough for a company to boast that their motto is “work hard, play hard”, but at Triangle Pest Control, we know it’s more than that! While we expect hard work from our team members, we like to be sure that that effort is rewarded. Our employee benefits package includes paid vacation days, so you can take a load off without worrying about how you’ll pay the bills. While work is important, we know that your loved ones and health come above all else! How you use your paid time off is up to you! You shouldn’t have to suffer through the work day when you’re not feeling well, simply because you don’t want to lose out on the opportunity to make money. We provide paid time off days, so you can get peace of mind while taking the time you need to recover. Full-time staff earns 40 hours of PTO in their first year, and the longer you stay with us, the more paid time off you get every year! Health insurance is an important way to keep you and your family happy and healthy. When you work at Triangle Pest, you can expect a competitive health insurance plan. We value your well-being and your health. By becoming a member of our family, you’ll have the opportunity to invest in your future. We proudly offer 401(k) matching program so you can get ahead on saving for what comes after: retirement. We provide a 401(k) company match to all regular full-time employees after your 90-day probationary period. Then, we match your pre-tax deposits into the 401(k) up to 3%, and if you contribute even more? We will match 50% of your pre-tax deposits from into the 401 (k) from 3% to 5%. Our 401(k) matching program is just another way that we are fully dedicated to supporting our team members for the long-term. If you’re job hunting, you probably have a variety of options when it comes to working in the pest control industry. Don’t settle for just another job! Instead, start a career at Triangle Pest. 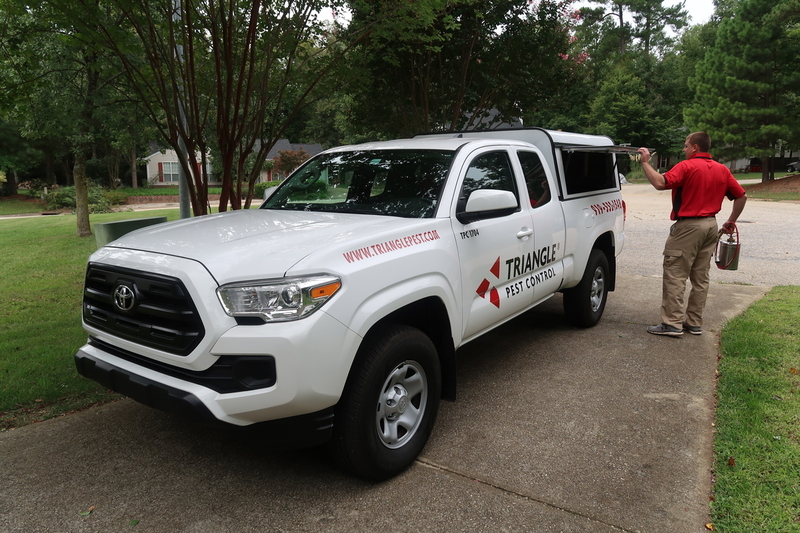 By joining the team at Triangle Pest Control, you’re starting a career with a company that cares about you like you’re family. We understand the value of good people and model our benefits to match. Want to know what it truly means to become part of our family? Contact us today to learn about how you can grow and learn with Triangle Pest Control! I really appreciate how prompt your pest control technicians are and how pleasant they always are.